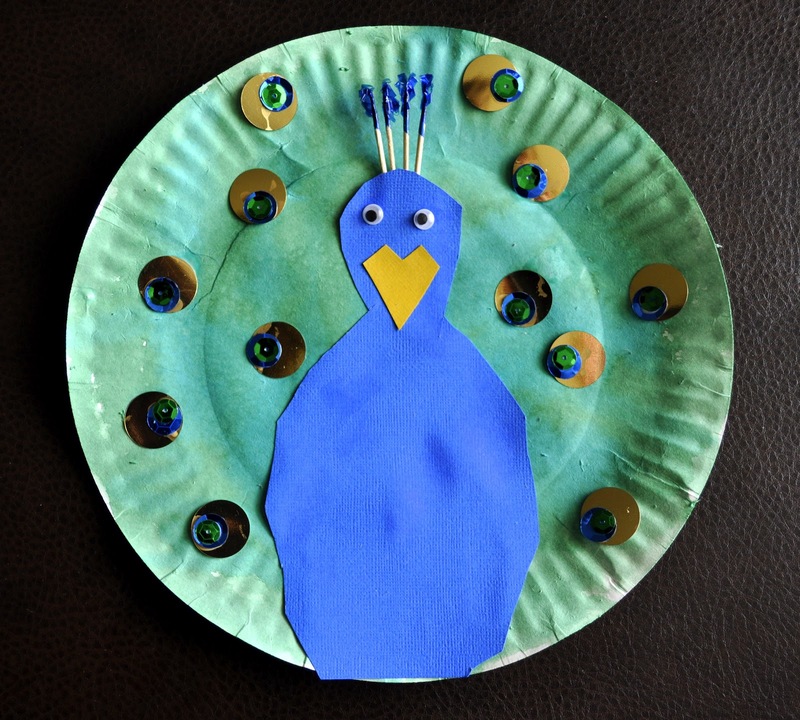 Encourage your children to be creative from an early age with these fun indoor craft projects which involve making animals out of paper plates! 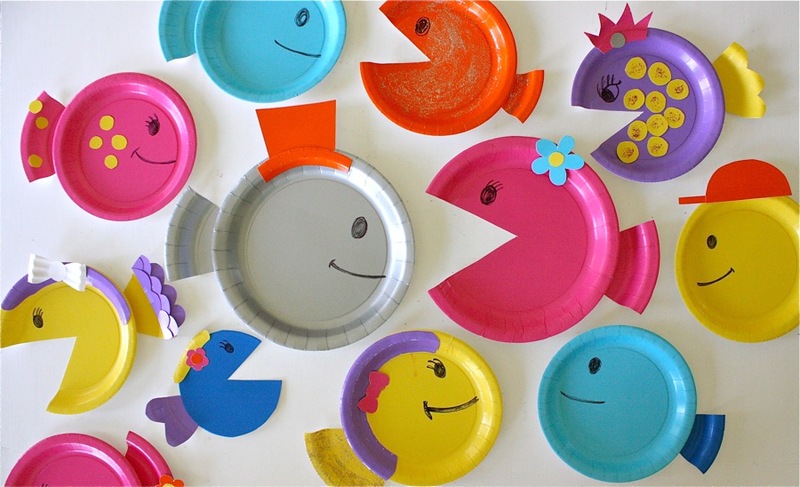 Paper plates are a great material to use in craft projects for children, as they are so versatile. With just a little bit of imagination you can transform boring plates into an abundance of different crafts. To help get the creative juices flowing, here are 15 paper plate animal crafts that children can easily make at home. This DIY project is really easy and your children will have a lot of fun making these cute fishes. Cut a small triangle from a paper plate and tape it to the back of the plate to use as a tail. To finish off the basic design, use a marker to draw an eye and wait for the ink to dry. You can leave the fish how it is or customize it with an assortment of craft materials such as bows, glitter, ribbon, card or marker pens. 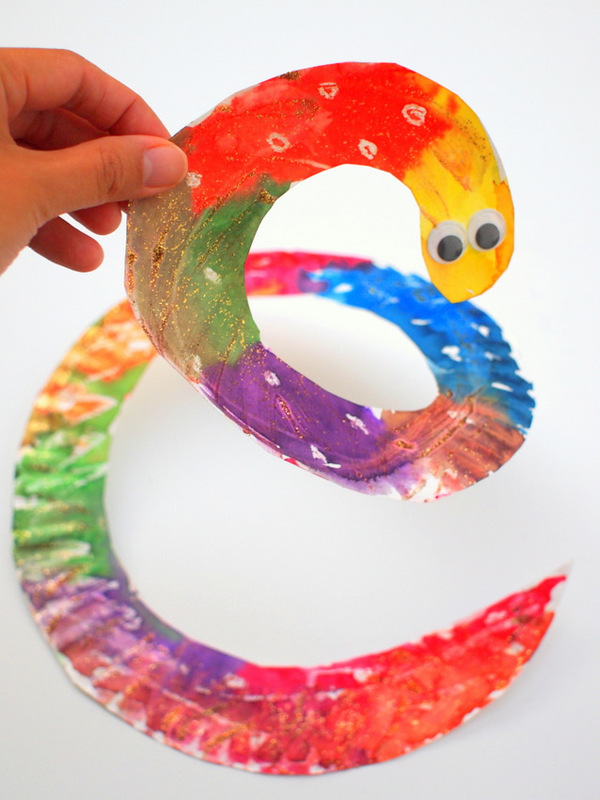 If your children are fans of reptiles such as snakes, they will love making these fun and colorful snakes out of paper plates. Start off by cutting a swirl pattern out of the plate to create a snake shape, and then paint them whatever colors you want. Glue googly eyes to front of the snake for the face and then add a bit of sparkle with glitter glue. 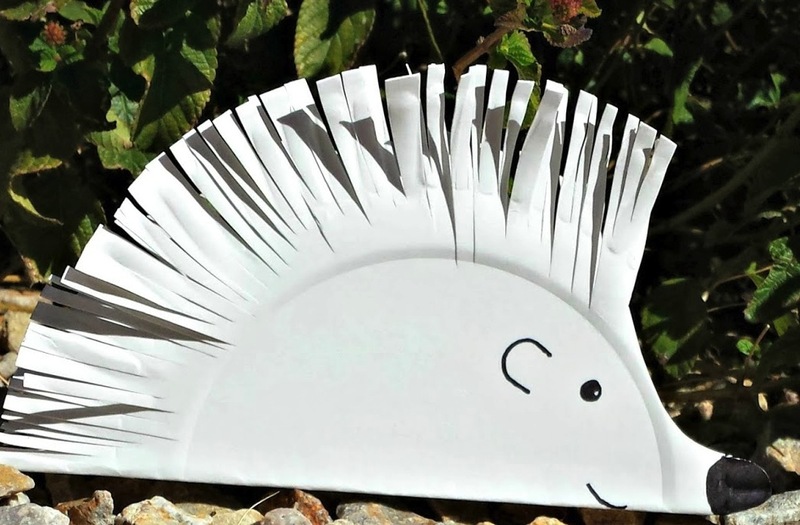 Make an adorable hedgehog you can display indoors or outdoors using just a paper plate, scissors and a black marker. Fold a white paper plate in half and then cut a nose shape out of the front of the plate. Then start cutting slits along the outside of plate to create spikes for your hedgehog. Draw an eye, nose, mouth and an ear onto the plate to create the face, and then glue the folded plate together to prevent it from unfolding. This is DIY craft is sure to be a roaring success with your children. It is so simple to make, and you only need a few materials. Paint the inside of the plate yellow for the face of the lion, and paint the outer part brown for the mane. 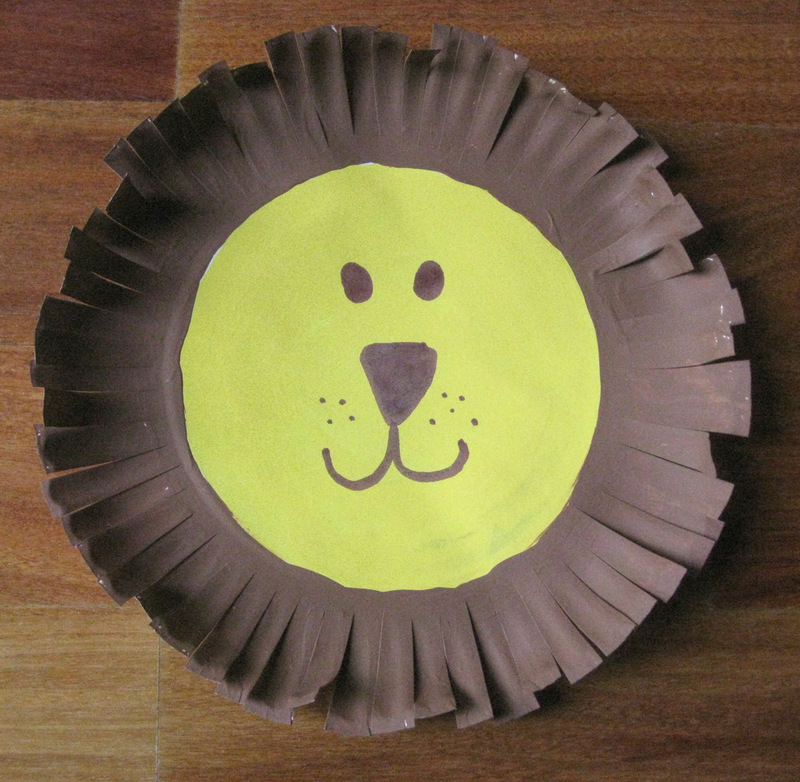 Cut small strips round the outside of the plate and then use a brown pen to draw a happy lion face. Create a colorful peacock craft using watercolors and beautiful sequins. Start off by painting the paper plate green, and then paint some blue stripes over it. Cut out the outline of a bowling pin shape from blue card stock to use as the peacock body. Next glue on googly eyes, and a beak cut out from yellow card stock, as well as four toothpicks to the back of the peacock's head. Glue the peacock body to the plate and then finish it off by gluing sequins around the plate to create shiny spots on the peacock. 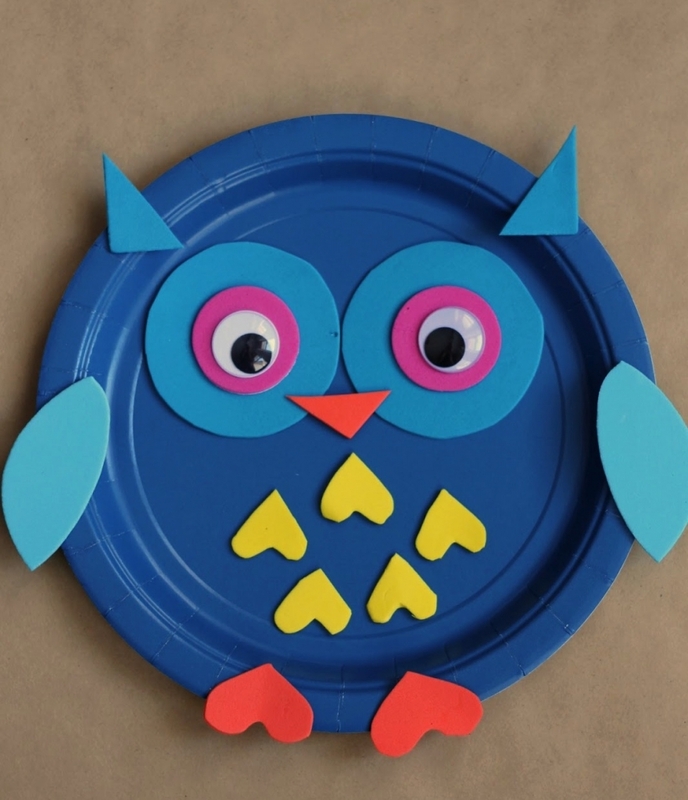 Have a hoot making this simple paper plate owl using just colored foam craft sheets and a colored paper plate. Cut out a set of two circles from two different pieces of colored foam sheets, and make sure one set is larger than the other. Glue the circles onto the plate for eyes, and add some googly eyes to the middle of the circles. Cut out three triangles from the foam, and glue two of them to the top of the plate for the ears, and one in between the eyes for the beak. Cut out foam hearts and glue two of them at the bottom of the plate for the feet, and the rest in the center of the plate to represent the feathers. 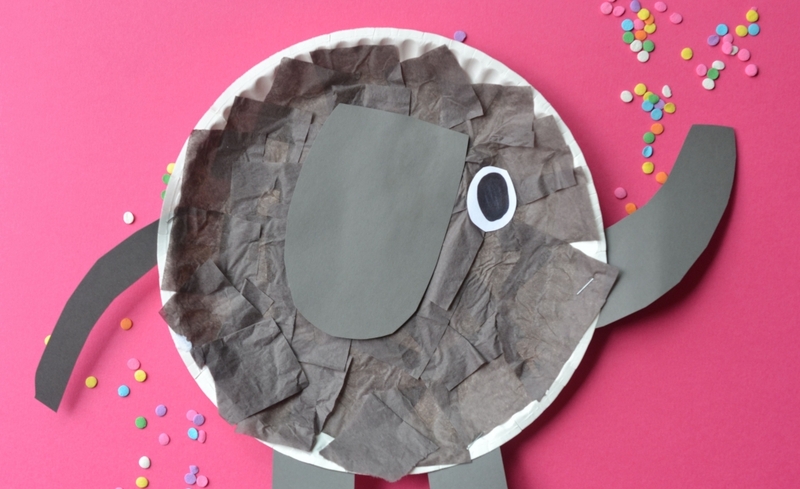 This adorable turtle is very simple to recreate. 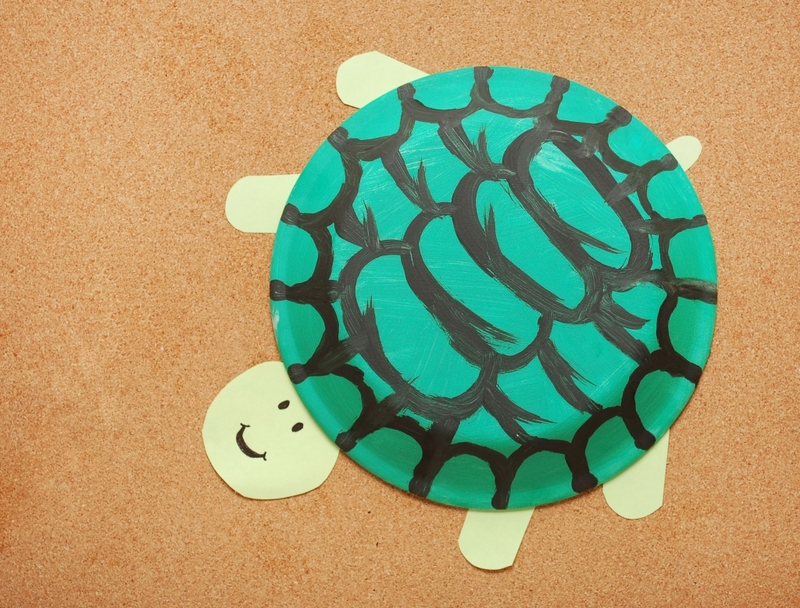 Paint a paper plate green and then draw or paint a shell pattern onto it. Cut out a circle from green paper for the head and draw a face on it. Glue the head to the paper plate shell and then cut out four feet and a tail out of the green paper and glue them to the plate. If you want to make the turtle stand out, try applying glitter glue to the shell before your children play with it. 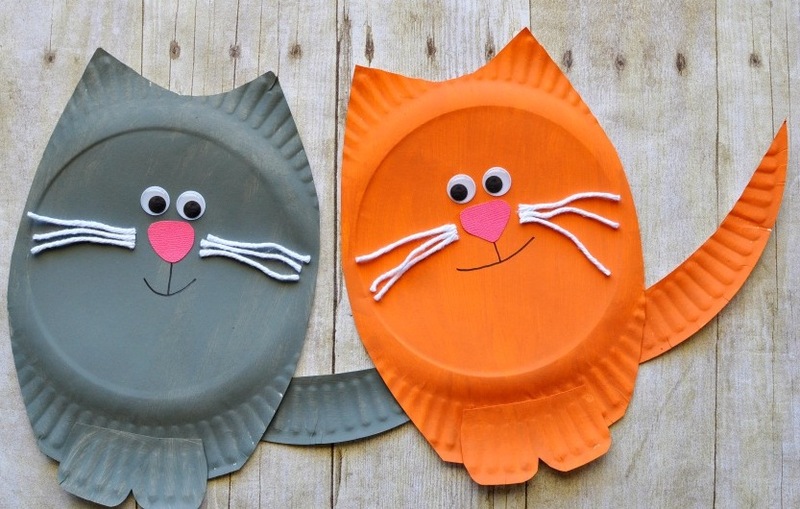 You can easily make a cat out of just one paper plate by reusing parts of the plate that you trim off. Start by cutting off two side strips, and a small piece at the top of the plate. Use one side strip for the tail and cut the other side strip into two cat feet. Paint the body, tail and feet one color, and then glue them together to form the shape of a cat. Cut out a small nose from pink card stock and glue it to the plate, along with some pieces of white string for the whiskers. Then finish off the face by gluing on googly eyes above the nose, and drawing on a mouth with a black marker. Easily make a cute spotty Dalmatian dog out of a white paper plate and black and white paper. First cut out ear shapes out of white paper and tape them to the back of the plate. Cut out black spots from the black paper and glue them onto the plate and paper ears so it looks like a Dalmatian. Then glue googly eyes and a pom pom nose to the plate and draw a mouth and tongue using pink and black markers. 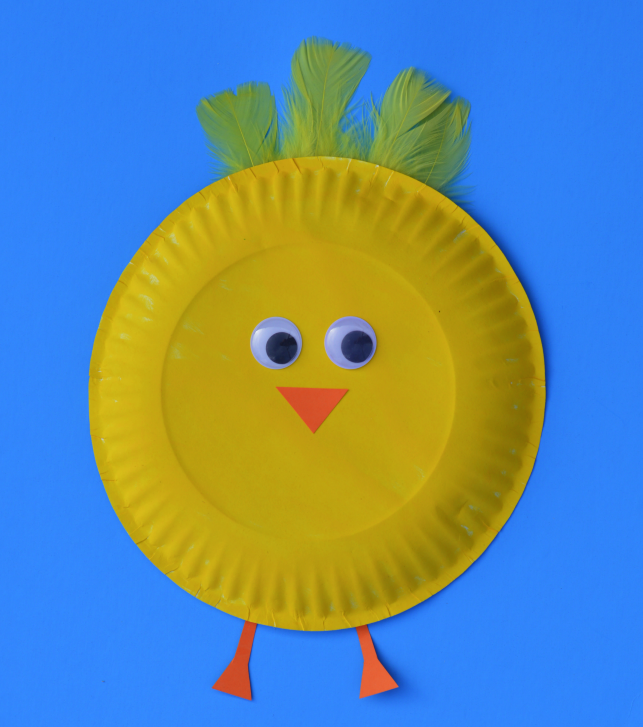 Celebrate Easter by making this super easy paper plate chick. Paint your paper plate yellow and wait for it to dry. Then glue yellow feathers to the top of the plate and two googly eyes to the front of the plate. Finish off the chick by cutting out a beak and two feet from orange paper and gluing them to the plate. Then marvel at how easy that was to make. 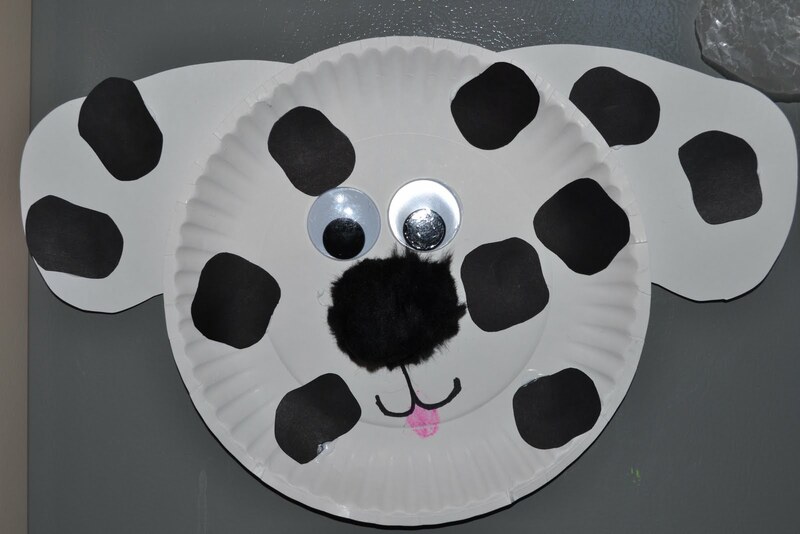 Amoose yourself by making this udderly amazing black and white cow out of a paper plate. Cut out the nose, ears and spots for the cow out of black and pink paper and glue them to the plate. 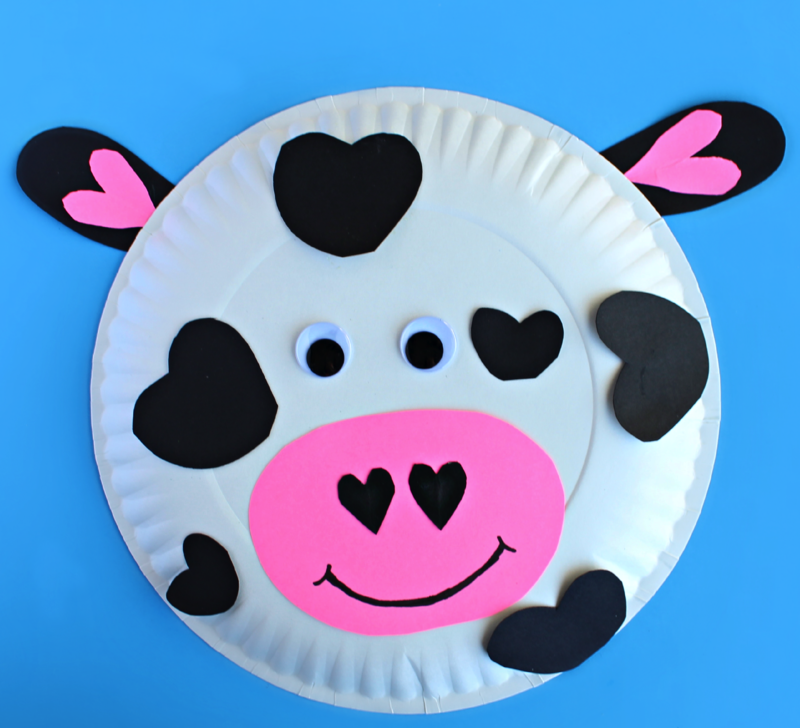 You can cut out the spots in different shapes or sizes to customize the cow, and then glue on googly eyes and draw a mouth to complete the face. 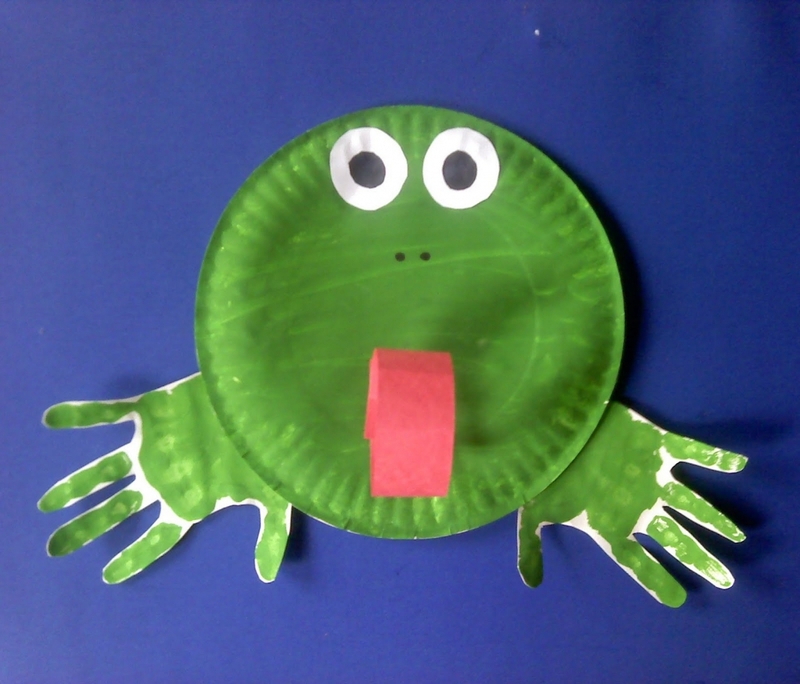 Make this cheeky paper plate frog with a sticky out tongue so it can catch flies. Paint a plate green and then paint both of your hands and press them down on white construction paper. Once the paint is dry, cut out the handprints from the construction paper and glue them to the back of the plate so they stick out like feet. Cut a slit into the plate where the mouth should be and feed through a rectangular piece of pink paper for the tongue and tape to the plate. To finish the design, cut out eyes from black and white paper and glue them to the front of the plate. 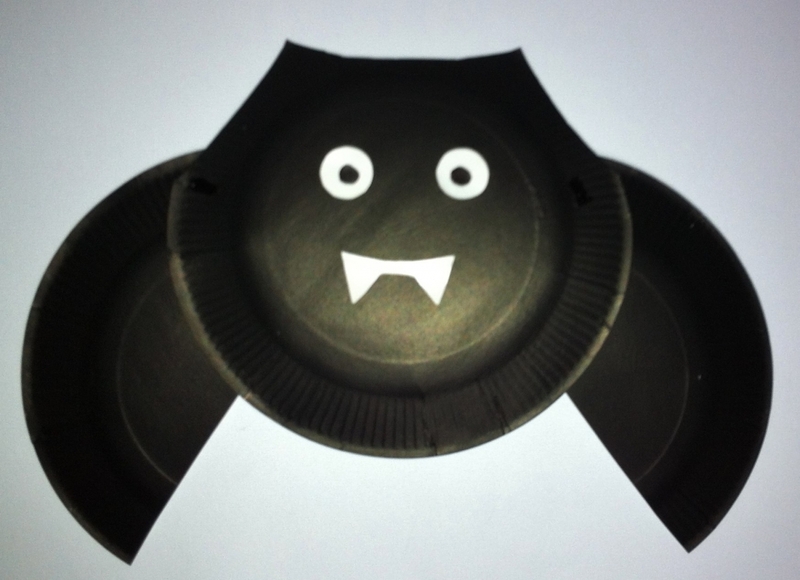 Create fun decorations for Halloween by turning ordinary paper plates into novelty bats. You will need two paper plates to create a bat, and you can either buy them already black or paint them. Cut one of the plates in half to use as wings and trim the top of the other plate to create the shape of ears at the top of the bat's body. Glue the wings to the body of the bat and then glue on eyes and teeth that have been cut out from black and white card stock. 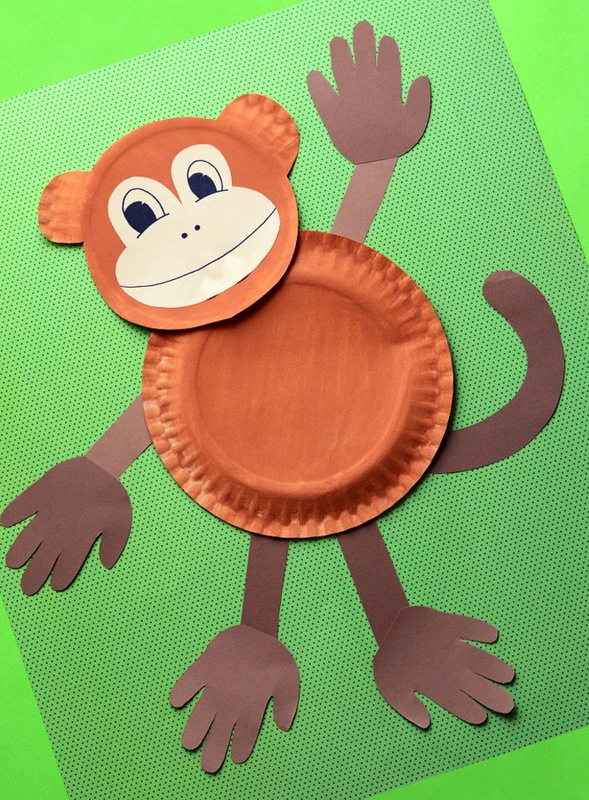 Stop your children monkeying around by getting them to make this super easy animal craft. Color two paper plates brown using either paint or a marker, and then cut out a monkey face and ears from one of the plates, and glue the plates together. Trace a hand four times on brown paper and cut out the handprints. Then cut four strips from the brown paper for the legs and arms, and attach them to the handprints. Glue these to the monkey body and also cut out and glue a tail from the brown paper. Finally cut out and glue a monkey face shape from beige paper and draw a facial expression for your monkey. This adorable elephant is simply created out of gray tissue paper and card stock attached to a plain paper plate. First cut your gray tissue paper into squares and glue them onto the plate. Cut out the features of the elephant including the ears, tail, legs, eyes and trunk out of black, white and gray card stock. Glue the card stock pieces to the plate to create your elephant design, and proudly put it on display for everyone to see.